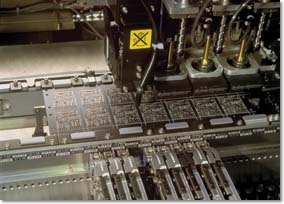 EDP, a Livonia, Michigan based company, has over 30 years of experience in assembling printed circuit boards for customers in a variety of industries including consumer, industrial, computer and medical. Capability to handle virtually any device including all types of SMT components from 0201 to BGA, micro BGA, QFP ,CSP. Free Inert (nitrogen) Reflow & Wave Soldering. Automated Optical Inspection (AOI) & X-Ray Inspection. In-circuit and End-of-Line (EOL) testing.